Do think about how you’ll use the space. As homeowners try so bad to copy an aesthetically-pleasing space they saw on Pinterest, they often end up with a cookie-cutter type of space, which doesn’t work well with them. When you plan your remodeling, you always start with the functional aspect of the space. Don’t go yet to the aesthetics and avoid falling into the trap of only replicating the look of the modern kitchen — steel appliances and marble countertops all around and a kitchen island in the middle. Think about how you’ll use the area first. This will dictate what exactly you need and how you can make the space visually appealing. For instance, if you let your kids do their homework in the kitchen area, then a breakfast nook should probably be included in your design. If you have the habit of entertaining guests in the space, you might want to add a long dining table facing an accent wall or an indoor koi pond in your plan. While this principle is applicable to all renovation projects, it’s much more crucial for the kitchen because it’s the area that’s most expensive to remodel. You want to create a realistic budget and stick to it all throughout. When drafting your financial plan, start by identifying essentials and nice-to-haves. Be honest with yourself which items fall under which category. From there, label every item with the price and compare the total price with the total amount you’re willing to shell out. This then gives you a clear picture of where you should save or splurge. As a general rule of thumb, you want to invest more on the essentials, like storage areas, appliances, and granite kitchen countertops. Accent Interiors and other Salt Lake City interior designers add that it’s worth recycling some items in your existing kitchen design. For instance, you can get rid of cupboard doors and then go for open shelving in your new space. Do consider the layout of the space. The kitchen is a workspace, so you want to be efficient with it. One way to achieve that is by paying attention to the layout. You must be able to measure the space, along with the elements you’ll be putting in it, so you’ll know how much area each cabinet or island would take up. You should also visualize the step-by-step of food preparation, so you can arrange work zones to support each task in the process. Don’t neglect the importance of storage. Kitchens collect items faster than any other space at home. One moment you have a clear, empty countertop surface and now you have a space filled with vegetables, milk cartons, eggshells, and charging phones. 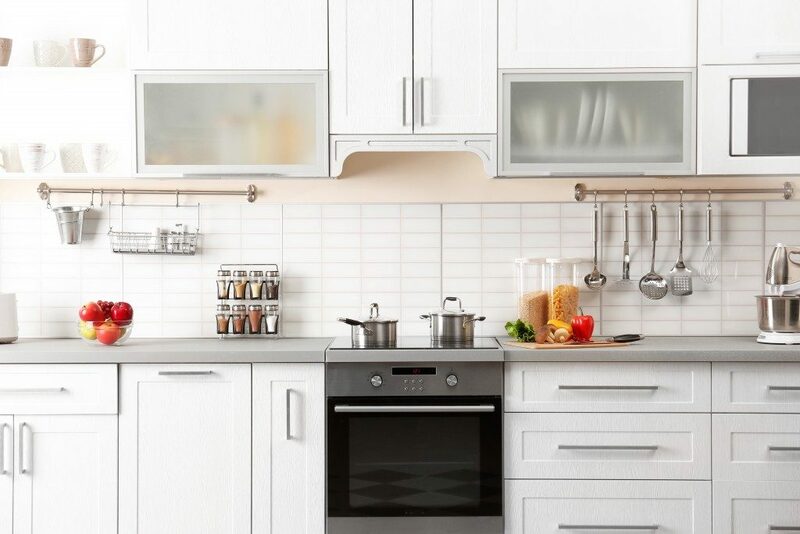 Clutter will be the enemy of your visually appealing kitchen design. Keep surfaces empty by investing in high-quality storage areas. A kitchen renovation is an overwhelming task. If you do stick to the rules of this remodeling project, you’ll be able to pull it off with less stress.